Glacier Bay Photography Workshop | Northwest Navigation Co.
Our 8-Day Photography Workshop aboard the David B offers a once-in-a-lifetime opportunity to take your photography to the next level in one of the most beautiful places in the world: Alaska’s magnificent Glacier Bay. The David B goes places that are off-limits to the big ships, allowing us the chance to get up close and personal with one one of America’s most dynamic National Parks. 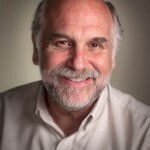 In this hands-on workshop you will have an opportunity to take and edit photographs with two knowledgeable instructors, John D’Onofrio & Alan Sanders. During the day, you will be exploring and photographing from the boat, skiff and land. While at night, you will receive customized Adobe Lightroom instruction to bring your artistic vision to life. Muir Inlet and McBride Inlet where icebergs beached at low tide can make for some amazing photography. Adams Inlet passing puffin colonies, sea lion rookeries, and the vast sheets of ice emanating from the ageless icefields begin to dominate the landscape. Overnight anchorages near both Reid and Margarie Glaciers for both aquatic and terrestrial photography opportunities that are among the most dramatic in the world. 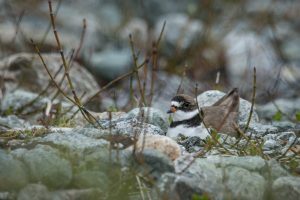 Day 2 – Couverden to Bartlett Cove (Glacier Bay National Parks Headquarters) to Fingers Bay. Alan Sanders has been making photographs since the 70’s and teaching photography since the 80’s. He has taught at the University of Alaska, Anchorage and Western Washington University in Bellingham, Washington. As a recovering commercial photographer specializing in advertising and public relations, he now concentrates on fine art photography. His photographs have been in many group- and one-person shows. Alan also has work in the permanent collections of several museums as well as many private collections. Currently he teaches photography at Whatcom Community College and is a digital imaging specialist at Quicksilver Photo Lab in Bellingham. 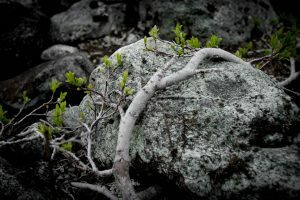 John D’Onofrio’s photography has been exhibited widely in museums and galleries around the United States and utilized by the National Park Service, the National Forest Service, the National Parks Foundation, and Defenders of Wildlife. His work has been published in numerous calendars, books and publications including National Geographic Adventure, Trail Runner, Tracks and Trails, and Washington Trails, and featured on the NBC and ABC television networks. 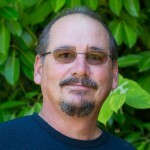 He is co-author of Images of America: Mount Baker (Arcadia Publishing) and loves nothing more than a good adventure. He lives in Bellingham, WA. where he serves as editor/publisher of Adventures NW magazine. In this hands-on workshop we’ll have an opportunity to make photographs in beautiful Glacier Bay. Then we’ll use Adobe Lightroom to bring out the best in your images. We’ll also discuss the use of Photoshop as well as other plug-ins that can be used in conjunction with Lightroom. Once the images are optimized, we will share and discuss the work as a group. Finally, we’ll spend time learning to print our work. Everyone will go home with at least one print – ready for framing – from the workshop. Dry bag for your camera gear as we’ll be going to shore in an open skiff and exploring in kayaks. 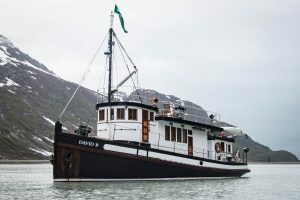 While in Glacier Bay, you’ll enjoy the creature comforts of the David B, a beautifully-appointed 65-foot wooden boat built in 1929 and lovingly restored – private staterooms with heads, a shower, fireplace, wood-fired cook stove and gourmet meals that have become legendary on the Alaska coast. Microbrews and fine wines. This is not industrial tourism. The boat’s “saloon” is equipped with a ceiling-mounted LCD projector and pull-down screen for evening instruction in utilizing Adobe Lightroom to bring out the best in your pictures. Once the images are optimized, we’ll share and discuss the work in group critiques. Finally, we’ll spend time learning to fine-tune for printing. Everyone will go home with a gallery-quality print – ready for framing – from the workshop. During the workshop, we’ll have extensive shooting opportunities every day, instruction time aboard the David B, and generous amounts of ‘down time’ to savor this special place. The trip is limited to eight passengers so individualized instruction is assured. The David B’s skiff is a marvel of engineering and ideal for photography: roomy, super-stable and dry. “Skiffyasaurus”, as it’s known, affords us amazing close-up photo opportunities of the glaciers, waterfalls, and wildlife. – L. Clarke, Sandy, OR. – S. Finch, Stanwood, WA. – M. Rough, Spokane, WA.